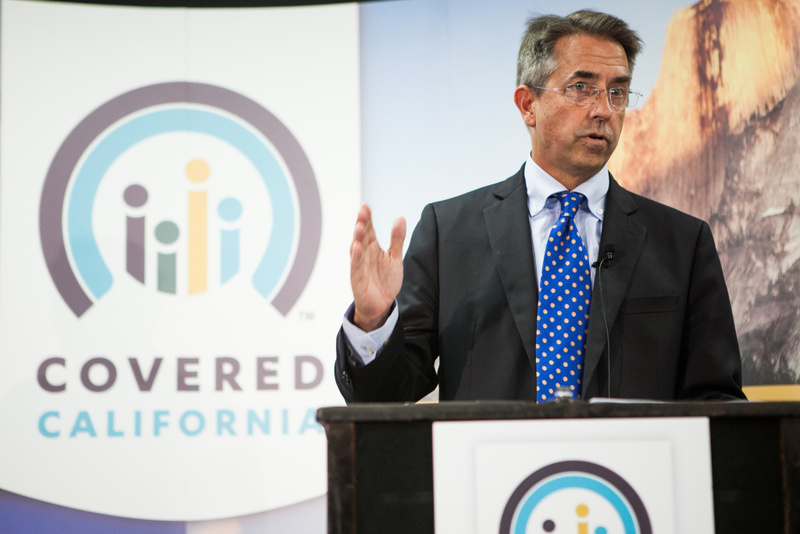 Covered California Executive Director Peter Lee. Open enrollment for California’s health insurance exchange Covered CA ends this Sunday, January 31 and this year will see the highest penalties yet for people who do not purchase coverage. The penalty for adults is $695 per adult and $347 per child with a family cap of $2500 or 2.5 percent of household income, whichever is greater. According to Covered California, nearly nine out of every 10 people currently enrolled qualify for some level of financial assistance and representatives are making their final appeals to convince more Californians that health insurance is affordable. Covered California Executive Director Peter Lee joined host Larry Mantle in studio to answer listeners’ questions about costs and penalties. If you decline your employer’s health care coverage, does your Covered California subsidy go away? "It does. If you get offered through employers, take it. Even if it’s not great coverage. If it’s really bad coverage you can get a subsidy through Covered California, but it’s got to be really bad. Covered California is for people who don’t have employer-based coverage or Medi-Cal or Medicare. It’s really out there for people who are otherwise left out in the cold." My son’s silver policy deductible went up 10 percent and none of his current $7500 treatment is covered. "It’s hard to go through the specific facts of a case, but for an individual on a silver plan, the deductible is about $6,000 and again as I noted before what’s not subject to a deductible is going to see your doctor today. If you’ve got someone who’s got really expensive care going to the hospital on a regular basis, you’re going to hit your maximum out of pocket, which is like $6,000 and then you’re going to be covered 100 percent." Do you have to pay back the previous year’s subsidy if your income increases? "If, halfway through the year, you know that you’re going to get a bonus, let us know that and you’ll adjust your subsidy for the balance of the year. If you don’t tell us at the end of the year and you made say $40,000 more, yeah, you will need to repay a portion of the subsidy on the tax return. The amount of the subsidy is based on your income and we will adjust your subsidy down if you get a bump in income." Our income went up and we lost our subsidy and now the plan with the coverage we need costs a fifth of our income. "We have not made health care in America inexpensive and what the Affordable Care Act does is say that people up to 400 percent of poverty will get a subsidy. Above that there’s not a subsidy and this is the federal law about where the cliff is. If you’ve gone over that cliff, this is not great solace, but if your insurance costs more than 9 percent of your income, then there’s no penalty for you not having insurance. Now the penalty that’s a big penalty is rolling the dice to go without insurance and then having to show up at the ER with $50,000 in debt." Immigration and the GOP debate, Obama and the gender wage gap, de-mystifying Covered CA and TGI-Filmweek!